David Branch : Is a 2nd Degree Black Belt under the Legendary Renzo Gracie. David Branch started training under Relson Gracie at age of 22 years old. In 2004 he started training at the acclaimed Renzo Gracie Jiu Jiu Academy in New York City. David has competed and won in numerous Jiu Jitsu tournaments across the country. He is a 2x Pan American champion, Abu Dhabi trials competitor, Bellator veteran, 2 division WSOF champion, and current UFC middleweight. Simultaneously holding the Light Heavyweight & Middleweight belts. Garry St. Ledger is a Judo Black Belt who was a 2008 US Olympic Alternate in Judo, a 2010 US World Team member, and a 3x US National Judo champion. Garry also holds a Black belt in Brazilian Jiu Jitsu under Renzo Gracie & John Danaher. Andre Denson started training BJJ in 2000 under 2x Pan Am champion David Ginsberg in Boston Massachusetts. During that time, Andre was trained at some of the top BJJ/MMA schools in New England and New York. Since then he has had the opportunity to train with a wide range of athletes from NBA players to Olympic athletes and UFC champions.He received his black belt in Brazilian Jiu-Jitsu and as a licensed MMA judge he has officiated hundreds of amateur and professional fights. Sidney Nemes started his journey in Jiu Jitsu with Emerson Souza Nearly 8 years ago. Since then Sidney has been training under the tutelage of David Branch. Sidney received his Black Belt and has competed in numerous tournaments placing medals in various IBJJF tournaments, representing the school well. Phil Hawes: is a top prospect MMA fighter who has an extensive wrestling background who teaches MMA striking class as well as wrestling at David Branch Jiu Jitsu. 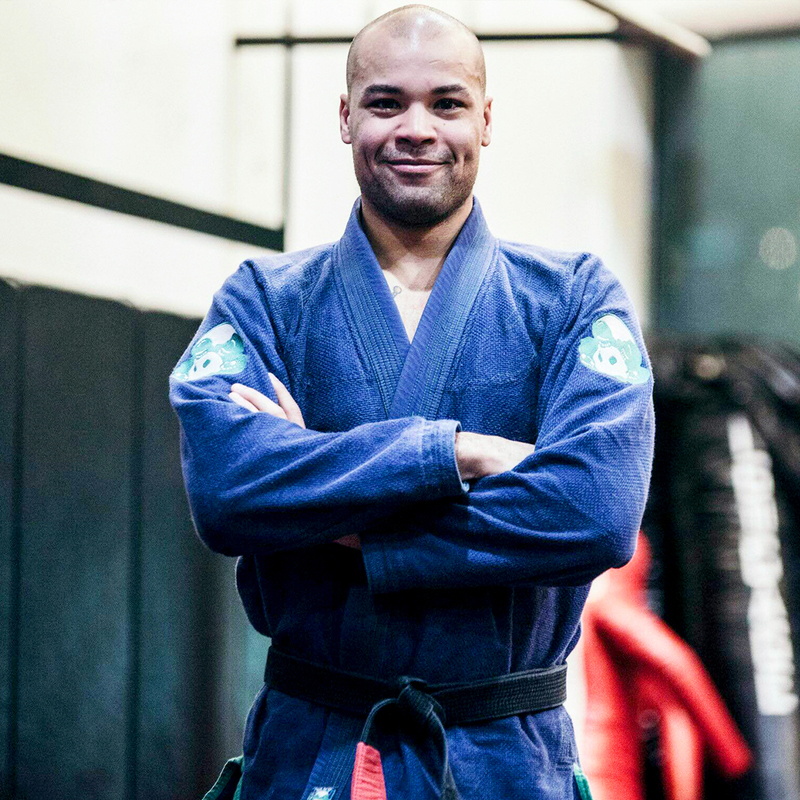 Matt Bilse: has been training with David Branch from the beginning of his jiu jitsu career and over the years, Matt has developed amazing focus and great attention to details in jiu jitsu, he helps beginners develop basic fundamentals in the Gentle art which are the most crucial. Matt Loy: Matt Loy started his Jiu-Jitsu journey in 2009 at Titan Fitness while attending Penn State where he was also a member of the varsity Lacrosse team. He has since trained at Advanced Martial Arts in South Brunswick, NJ and has been part of the David Branch Jiu-Jitsu family since 2013. Matt was promoted to Brown Belt in 2016 by Professor Branch and is working hard to achieve Black Belt status. Matt brings his knowledge of Jiu-Jitsu and grappling to teach fundamentals of the gentle art. Marvin Nino: Marvin Nino moved to New Jersey from Bogotá, Colombia in 1995. He studied Brazilian Jiu-Jitsu under the Renzo Gracie Academy black belt, Jose Zed Chierighini, and proceeded to earn his blue belt. He continued on under the tutelage of black belt, Jaime Alexandrino and went on to earn his purple belt. He has competed in several Jiu-Jitsu tournaments placing gold and silver on multiple occasions. Passionate about teaching his craft to both adults and children, he currently freelances as a group and personal fitness instructor in the Northern Jersey area. Nino expanded his craft to the MMA world and has also competed in several amateur fights and has a record of 3-3. Nino hopes to one day compete in the UFC as a welterweight.